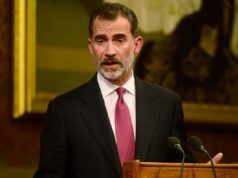 The official visit of the Spanish King to Morocco on Wednesday paves the way for stronger cooperations between the two neighboring countries. 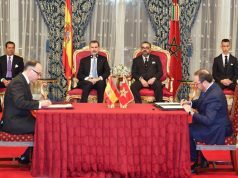 Rabat – Upon arriving in Rabat yesterday, King Felipe VI of Spain held talks with King Mohammed VI and signed eleven bilateral agreements covering various issues. 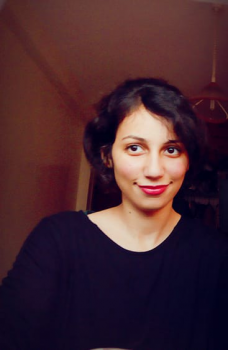 The first agreement, signed by Morocco’s Minister of Foreign Affairs Nasser Bourita and his Spanish counterpart Josep Borrell Fontelles, is a memorandum of understanding of the strategic relations between the two kingdoms. The second agreement, also signed by the two ministers is related to Spain’s irrevocable offer of Tangier’s Teatro Cervantes (Grand Theater Cervantes) to Morocco. 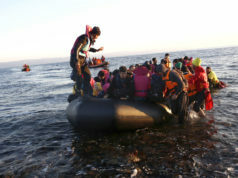 The third agreement was signed by Morocco’s Minister of Interior Abdelouafi Laftit and his Spanish counterpart Fernando Grande-Marlaska Gomez is related to the Spanish-Moroccan cooperation on fighting crime. 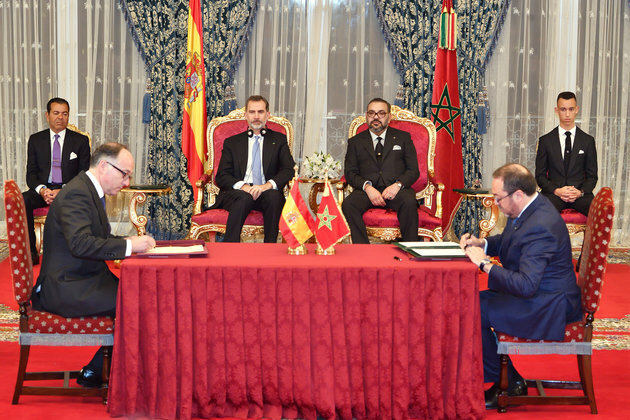 The fourth agreement is a memorandum of understanding for the Spanish-Moroccan strategic partnership on energy, signed by Aziz Rabbah, the Moroccan Minister of Energy and Jose Dominguez Abascal, the Spanish Secretary of State for Energy. The two officials also signed the fifth agreement on the development of a third Moroccan-Spanish electrical interconnection. The sixth agreement bears cultural significance as it calls for cooperation on museums. It was signed between the President of the National Foundation of Museums Mehdi Qotbi, and the Spanish Minister of Culture and Sports Jose Guirao Cabrera. The seventh agreement is a memorandum of understanding between Spain’s National Museum of Arts Reina Sofía and the National Foundation of Museums. 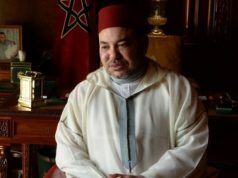 The eighth agreement seeks to preserve the Spanish heritage in Morocco and vice versa. It was signed by Bahija Simou, director of the Moroccan Royal Archives and Alfredo Perez de Arminan, the president of the Spanish National Heritage. The ninth agreement is a memorandum of collaboration and facilitation of trade through the Strait of Gibraltar. President of the Supervisory Board of Tangier Med Port, Fouad Brini and the head of the authority port of the Bay of Algeciras (APBA), Manuel Moron Ledro signed the agreement. The tenth agreement is a memorandum of understanding between Royal Air Maroc (RAM) and Iberia Airlines, signed by RAM CEO Abdelhamid Addou and his IBERIA counterpart, Luis Gallego. 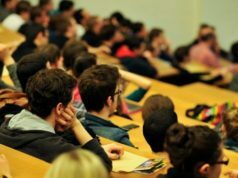 The last agreement relates to the mutual cooperation between Moroccan Capital Market Authority (AMMC) and the Spanish National Securities Market Commission (CNMV). It was signed by Nezha Hayat, and Sebastian Albella Amigo, presidents of the AMMC and CNMV. 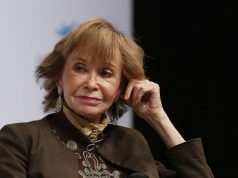 The discussions between the two monarchs and signing of agreements occurred in the presence of the Spanish minister of Foreign Affairs, the European Union and Cooperation, Josep Borrell Fontelles, King Felipe VI, Jaime Alfonsin Alfonso, and Spain’s Ambassador to Morocco Ricardo Diez-Hochleitner Rodriguez. King Felipe VI of Spain and his wife, Queen Letizia, arrived in Rabat today at the invitation of King Mohammed VI. King Mohammed VI received the Spanish monarchs at Rabat’s airport. King Mohammed VI was accompanied by Crown Prince Moulay El Hassan, Prince Moulay Rachid, and Princesses Lalla Khadija, Lalla Meryem, Lalla Amae, Lalla Hasna and Lalla Oum Keltoum. The Meshuar square in Rabat’s royal palace hosted a special ceremony in honor of the Spanish King and Queen. The visit mirrors the “depth and quality of bilateral ties thanks to the shared will to foster the multidimensional strategic partnership uniting the two neighboring and friendly countries,” stated the Moroccan Ministry of Royal Household, Protocol and Chancellery.